The 17th Annual Carriage & Antique Auction was a huge success! Thank you to everyone who came out, looked for treasures, enjoyed some food, and placed some bids! Both our bidder numbers and attendee numbers were up, which of course means increased profit for Bird-in-Hand Volunteer Fire Company. 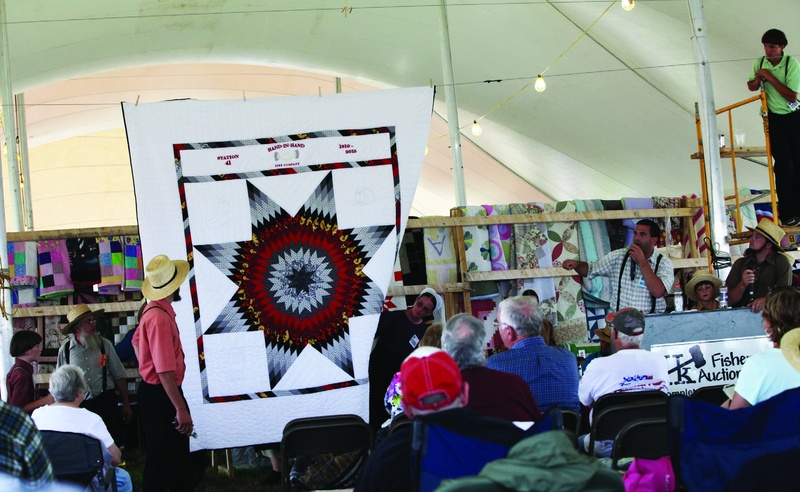 Of almost 1,800 bidders, about 40% were from out-of-state–and some traveled as far as from Ontario and California! Of course, we had fantastic local support, too, as always. 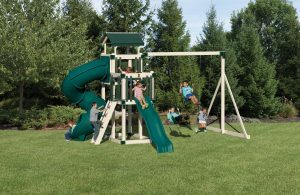 We would like to send a special ‘thank you’ to D&E Woodworks and a group of individuals, who donated a children’s play-set to the auction. The large play-set brought in a total donation of $2,800 for the Fire Company on its own–and we are very grateful. 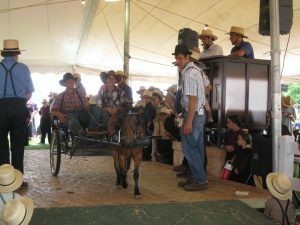 We look forward to next year’s auction and hope to see you again! The 2017 dates are being confirmed and we will post them as soon as possible. Many thanks to our community and guests who made this year’s auction a success! 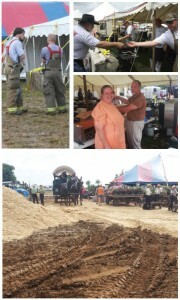 We officially had a “mud sale” for the second time in 17 years. While we are thankful for the dangerous storms missing us, our thoughts and prayers are with the folks in West Virginia who endured those terrible storms and are struggling to find their loved ones. Our hearts are heavy for you. 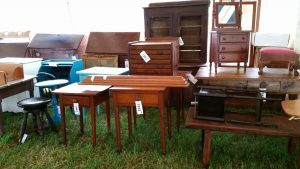 The tentative dates for next year’s sale is Thursday & Friday June 29 & 30, 2017. However, be sure to check back in December for finalized dates. Big Auction. Little Town. Great Community Spirit. 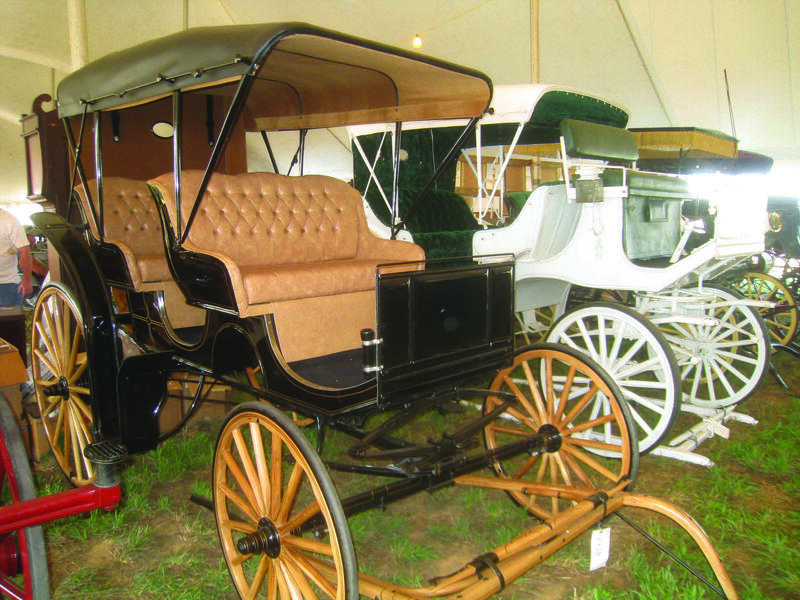 Our 17th Annual Lancaster County Carriage & Antique Auction is just around the corner–scheduled to take place next week! 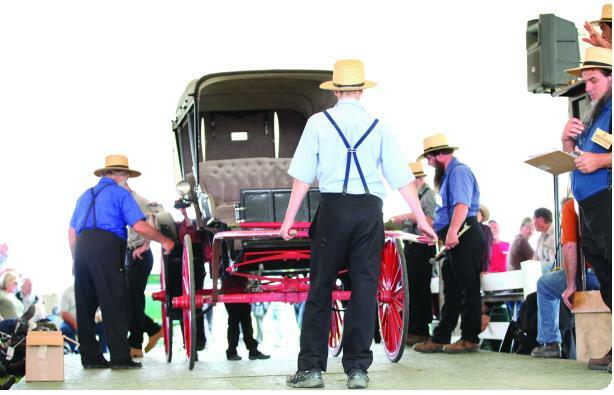 Thousands of people, both locals and tourists, attend this one-of-a-kind experience. 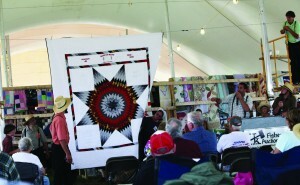 The auction takes place at 3:30pm on Thursday, June 23rd and begins again at 8am on Friday, June 24th. 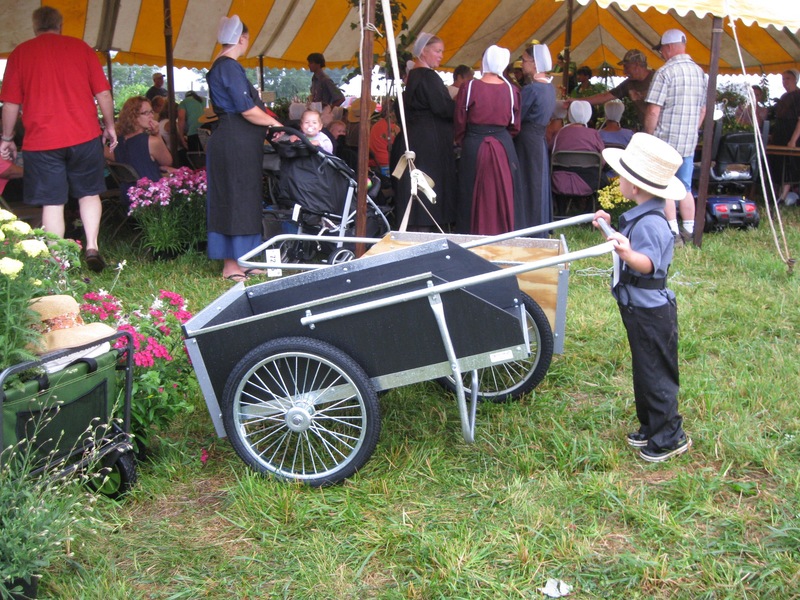 Not-to-miss activities include authentic, freshly prepared food at the Amish Haystack Dinner, spirited bidding on antiques and treasures, ranging from quilts and heirlooms to plants and miniature ponies, and rows and rows of antiques which will be displayed in the picturesque fields of Bird-in-Hand, Pennsylvania. 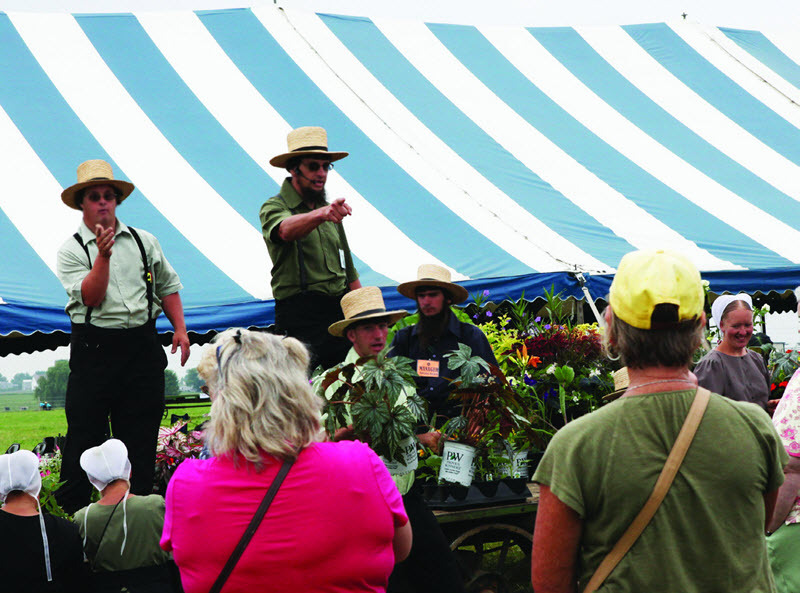 Proceeds from the sale benefit the Bird-in-Hand Volunteer Fire Company, and the community teams up with firefighters to help run the auction, keeping things efficient and organized. Purchases from locals and visitors help to ensure that we can continue to provide fire protection services to the Bird-in-Hand community and surrounding areas, and are very much appreciated. 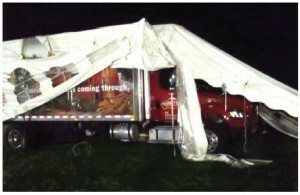 Fire Company President Tim Hoerner noted, “When there is a crisis, the community depends on the Fire Company, and the firemen depend on the community to help with fundraising efforts to keep their equipment and training up-to-date. It’s a win-win for everyone.” This statement is certainly accurate–and attendees and volunteers leave the auction each year feeling satisfied and happy, having supported a good cause. Please join us to experience this incredible event in person. Hope to see you there! 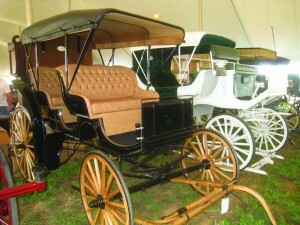 Consignments Wanted for 17th Annual Carriage & Antique Auction! When & where is the auction? 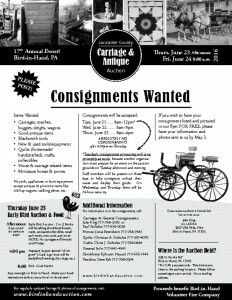 How do I get on the mailing list to receive the early consignment catalog in the beginning of June? 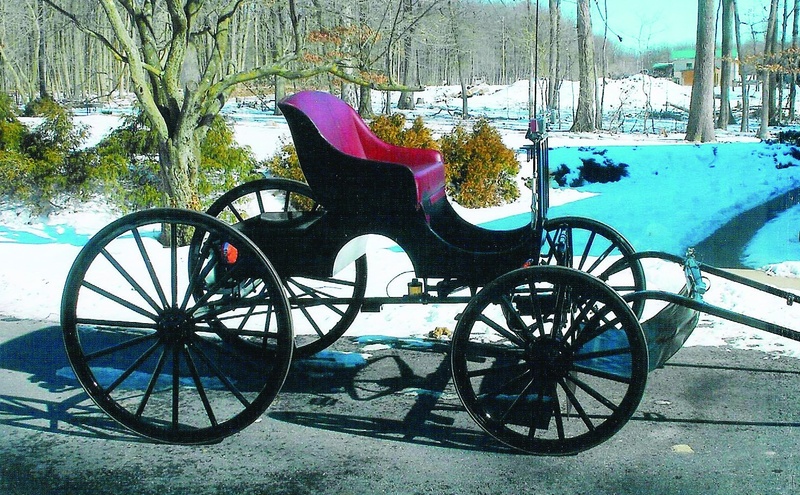 Have an Item to Donate to the Carriage Auction? Pull together some business associates and donate a high value item for our noon specialty sale. 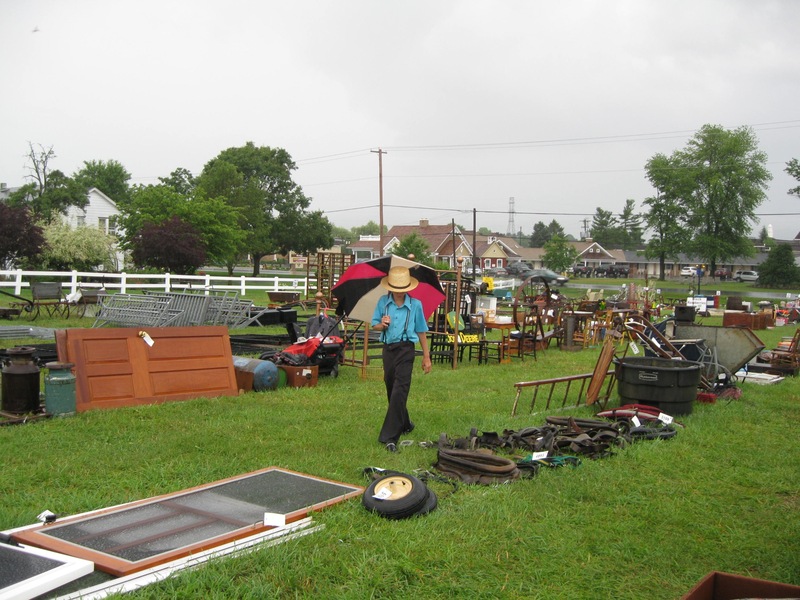 We will recognize your businesses in our flyer and on the auction block. Receipts for tax deductions are available for items over $250. For questions or to donate an item, please contact Jake King 717-768-3299. Participated in 33 firefighter trainings for a total of 1,115.5 hours. There were four cooperative trainings with other companies plus training with Gordonville ambulance for vehicle rescues. Installed new UHF radios in the trucks for the new county radio system. 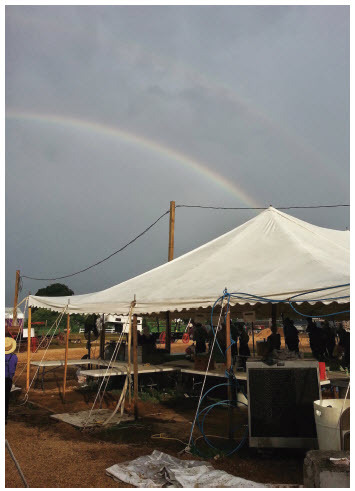 The new system provides more range and improved building penetration for the radio signals. Finalized details for our new tank truck, which is expected to be in service in 2013. 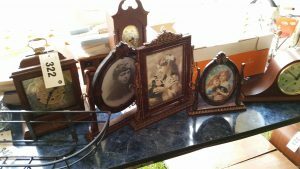 Sold 180 carriages, valuable antiques, lots of food, and more merchandise than ever to 1,200 bidders at the Carriage and Antique Auction on June 29. 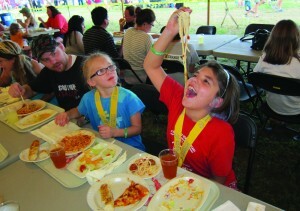 A hearty thank you to all of the volunteers! 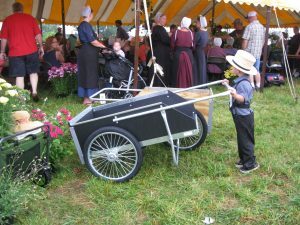 At our Memorial Day weekend chicken barbecue we sold 2400 halves and on Labor Day weekend 2200 halves. 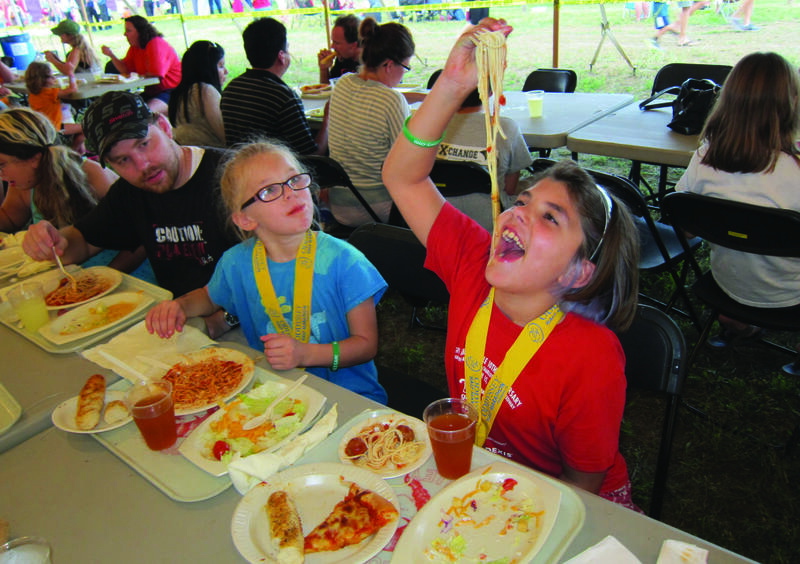 The February 25 Pot Pie Dinner totals were 1,113 meals and 1,081 take-out quarts. 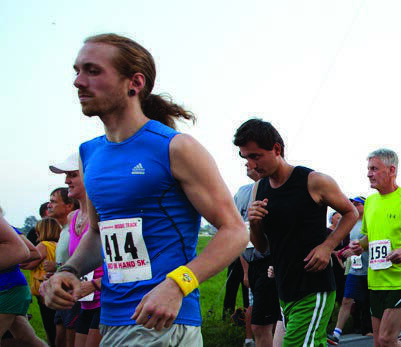 Hosted 1,900 runners in the Half Marathon, 5K, and Kid’s Fun Run on September 6 & 7. 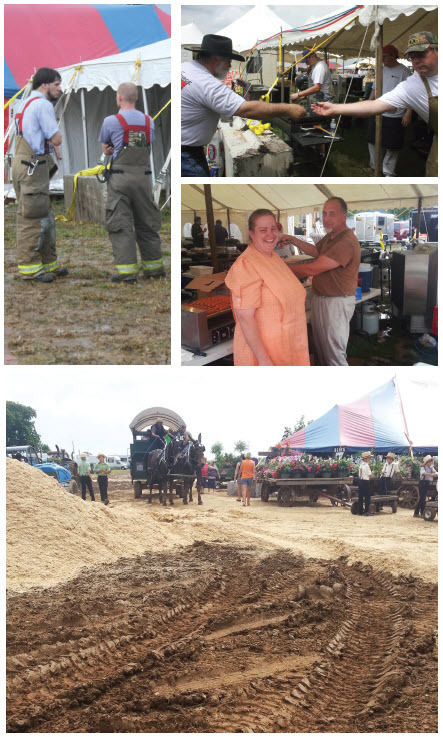 We served a spaghetti and Amish pizza supper on Friday evening and held our Fire Company Picnic under the big tent on Saturday afternoon until the rains came. 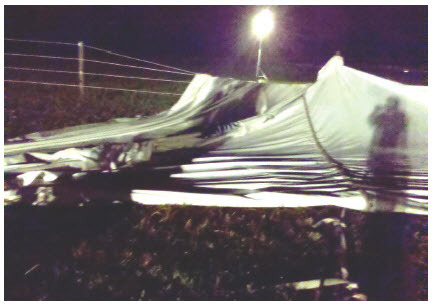 Prepared for Superstorm Sandy on October 27 by rounding up pumps, sandbags, hoses, vacs, chainsaws, and chains. We brushed up on firefighting tactics for wind-driven fires and prepped our backup dispatch base. Crews were at our station 24/7 during the storm.